If there is anything I have learned in the past 5 years of homeschooling, it is that every child is SO different. After discovering my children’s learning styles (take the free quiz here), I was under the impression that only my kinesthetic learner needed a hands on approach to learning. As I began creating more hands on learning games and activities and filling our homeschool with resources for said child, I saw some pretty incredible results from my other children as well, regardless of their learning style. This led me to some research that has quite honestly changed my approach to homeschooling in general. 1. 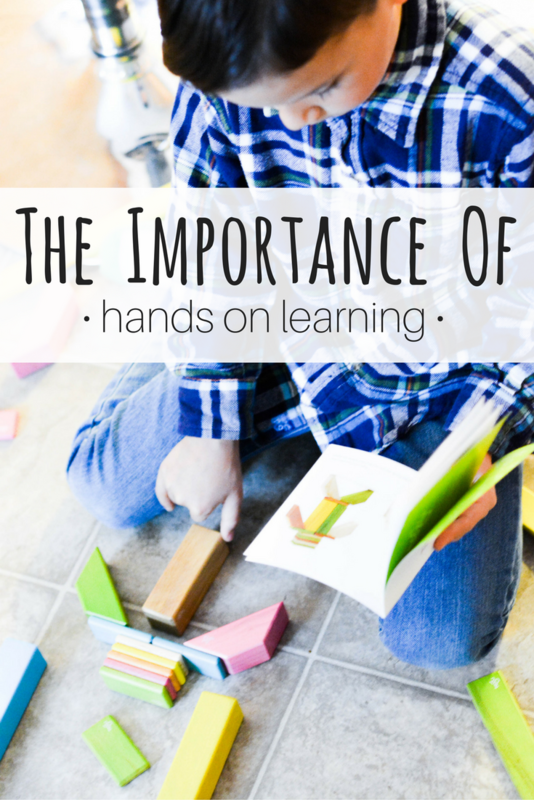 Hands on learning improves memory and lesson retention. The simple truth is, the more ways our children can experience and personalize the lesson into something that means something to THEM, the more neural pathways are formed and the better they will remember that lesson. 2. Hands on learning increases confidence. The more our children get involved, the better they understand the lesson, the more confidence they have in themselves. Because hands on learning is teacher-intensive, you really can’t sit back and let your kids work independently. Hands on learning in a homeschool means we ALL get involved, which means that your kids are getting more one-on-one attention as well. This allows us as parents to get an in-depth look at where our kids are at and how we can help them in a non-threatening way. 3. Hands on learning bridges the gap between head knowledge and heart knowledge. We can teach our kids about physics or architecture by reading it to them from a book and quizzing them on it, and I am not saying that is all bad. But if we can pair that with some simple building blocks where our kids can see WHY that crossbeam is important and see HOW the magnets only click together a certain way, they know it not just as random information, but they truly understand the concept. 4. Hands on learning is FUN! When homeschool is boring, it can become something not only the kids dread, but mom too! Standing up and playing a game or building a model or going on a nature walk breaks up the monotony of bookwork and can be a time of connection and stress relief for everyone in the family! 5. Hands on learning builds connections. Not only are you building connections in your brain, and building connections between memorization and concept BUT you are building connections between subjects in a way that only life experience can offer. This is the beauty of STEM (science, technology, engineering and mathematics) or STEAM (science, technology, engineering, art, and mathematics) learning, simple activities and projects that blend subjects together. Concepts will touch and even overlap and our kids will have a broader understanding than any book can offer them. My Favorite Hands On Educational Toy Right Now. I’m not going to lie, I am an educational toy hoarder. If I am going to have bins full of toys, I want them to inspire my children to learn. What can I say? I’m sneaky like that. So I’ve naturally had my eye of the Tegu magnetic blocks for some time. I have been scoping out various websites, trying to find the best deal and debating whether or not these would work for me. So when Educents decided to send us an early Christmas gift, we were pretty much beside ourselves to open up these beautiful wooden blocks! I let my middle children open up the blocks and be my photo shoot models for the day, but my 3 year old moped at the door (impatiently) awaiting her turn and my older kids were not far behind her. These blocks are FUN you guys! They are bright and pretty to look at, which makes you just want to pick them up and play with them. They are made with natural grain wood that is safe and has that organic feel. The pieces are magnetic which means you can build pretty much anything your mind can imagine and I had a lot of fun watching them learn that the magnets had two sides, that they had to balance the weight, and more… all without me saying a word or teaching them in any way! This is the beauty of hands on learning. Learning through play especially is something that doesn’t really have to be forced or planned. It occurs naturally, seamlessly. It is learning through discovery and it is the way children were designed to learn. 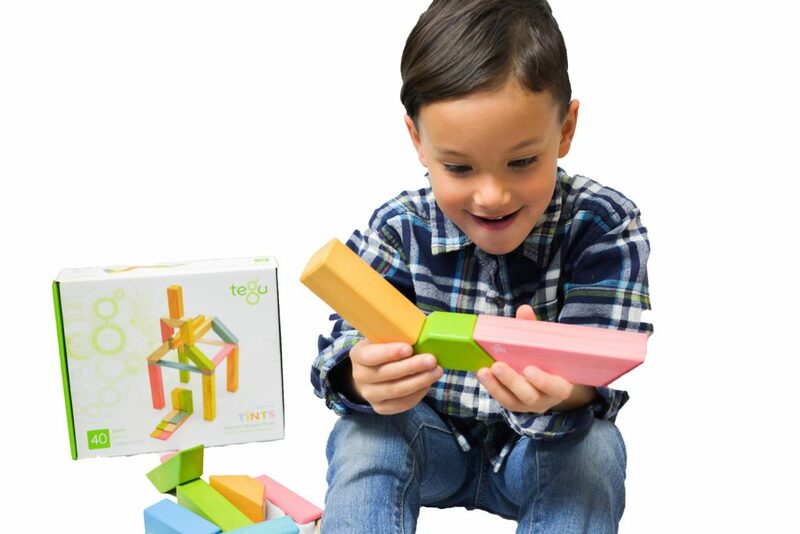 These blocks are made with 100% non-toxic, water-based dyes and are made in Honduras in the capital city of Tegucigalpa (the name sound familiar?). This means that the factory is providing living-wage jobs with every dollar we spend. Looking for Hands on Learning Resources and Toys like this? Check out this sale! CLICK HERE TO SHOP HANDS ON LEARNING TOYS. CLICK HERE and use coupon code HOLIDAY for 10% off OR spend $200 or more on some great hands on learning resources or curriculum for your homeschool and get 20% off with code REJOICE! 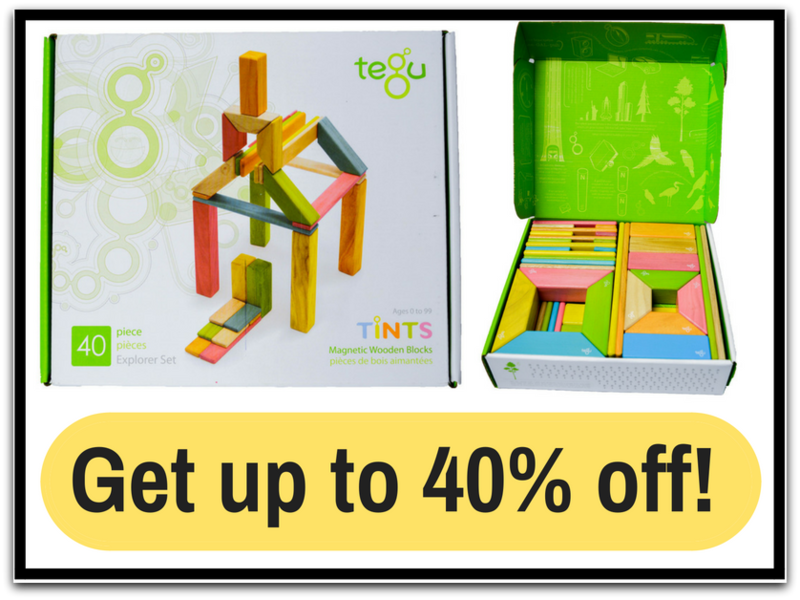 Not to mention that these blocks are already over 20% off right now, that means you can get them up to 40% off if you act fast! Don’t live in the US? No problem, you can use code GLOBALREJOICE for 20% off $200 or more for a limited time only!